Penticton in the beautiful Okanagan Valley | British Columbia ROCKS! 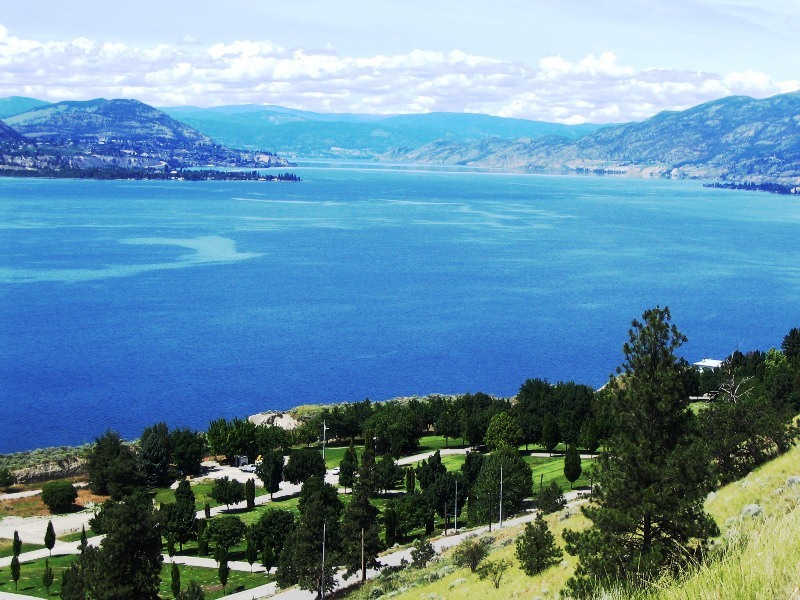 Penticton, a small jewel located at the southern end of Okanagan Lake await to be discovered by you! Dry warm summers and sandy beaches invite tourists and locals alike to relax and unwind. Check out the many areas to walk, whether it be along the shoreline or the canal that runs from Okanagan Lake, winding it’s way alongside a golf course and developed areas and into Skaha Lake at the southern end of the City. Mid summer you can find hundreds of people of all ages riding tubes, air mattresses and other floating apparatus’s on a lazy two hour ride along the canal. 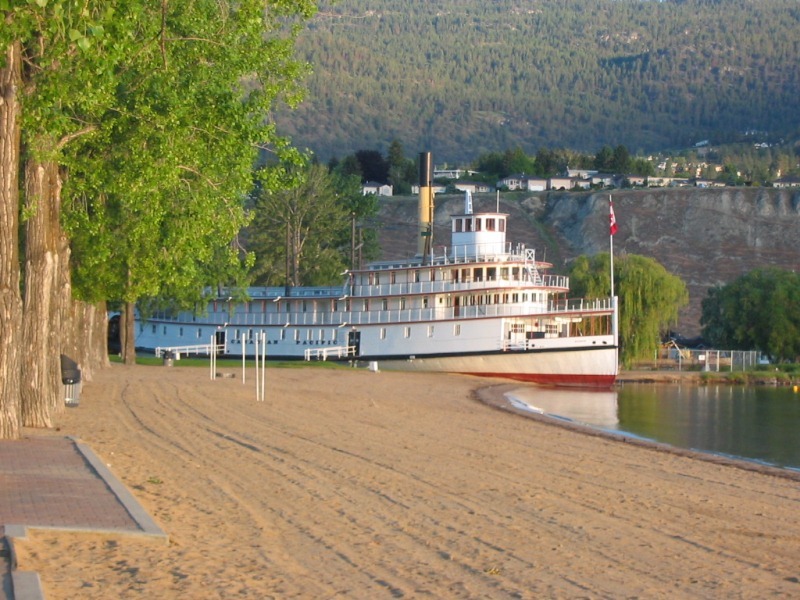 On the beach along the end of Okanagan Lake sits the SS Sicamous, an old and restored paddlewheeler that is now a permanent attraction. Check it out, it is a very cool sight. Penticton has alot to offer. Because of the many conferences and conventions that are held at the newly updated Trade and Convention Center, tens of tousands of people flock to this City each year. Penticton hosts a myriad of hotels and motels so usually one can find accommodation. From water sports to casino’s to relaxing at a sidewalk coffee shop or shopping along Main Street, you will find something for everyone. While there check out the used book store on main. It hosts tens of thousands of books on virtually any topic and certainly from any author you might think of! Does golf strike your fancy? 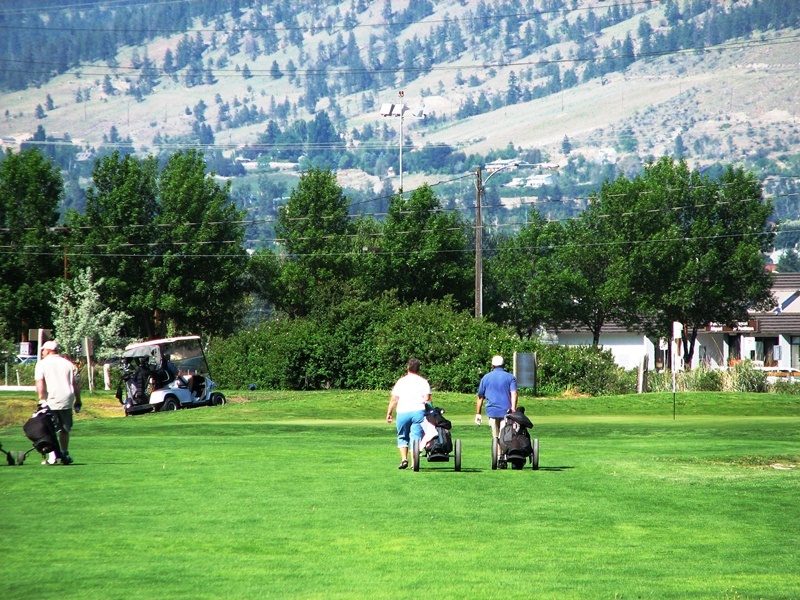 Penticton has a number of great golf courses from par 3 to full length. But who can forget about Okanagan Lake! Ninety miles long, the southern end of the lake at Penticon hosts groomed sandy beaches that are made for sun worshippers and water fun! Have fun while staying in Penticton! This entry was posted in British Columbia and tagged beautiful british columbia, convention, okanagan lake, okanagan valley, penticton BC, sandy beaches, ss sicamous, Tourism. Bookmark the permalink. 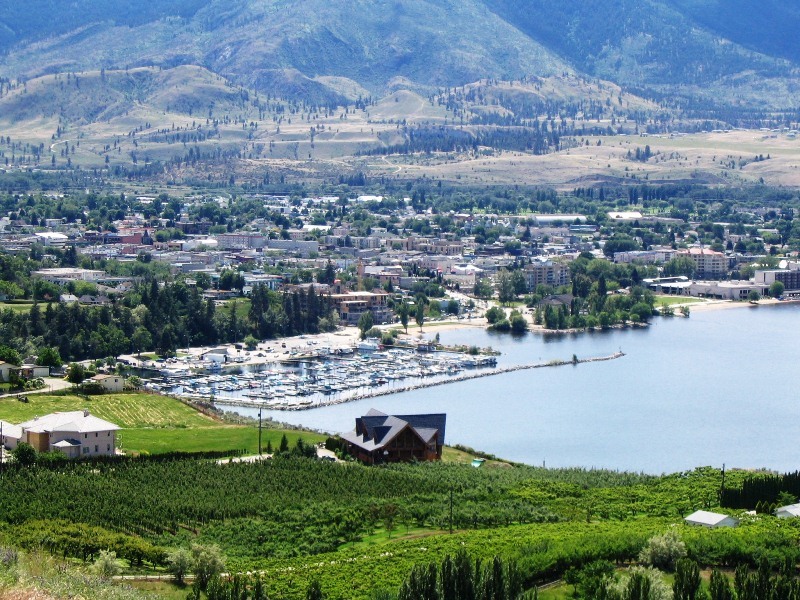 Wonderful piece on Penticton, will definately visit there after reading your blog. Pingback: Arriving in Penticton « Faith is spelled R.I.S.K.